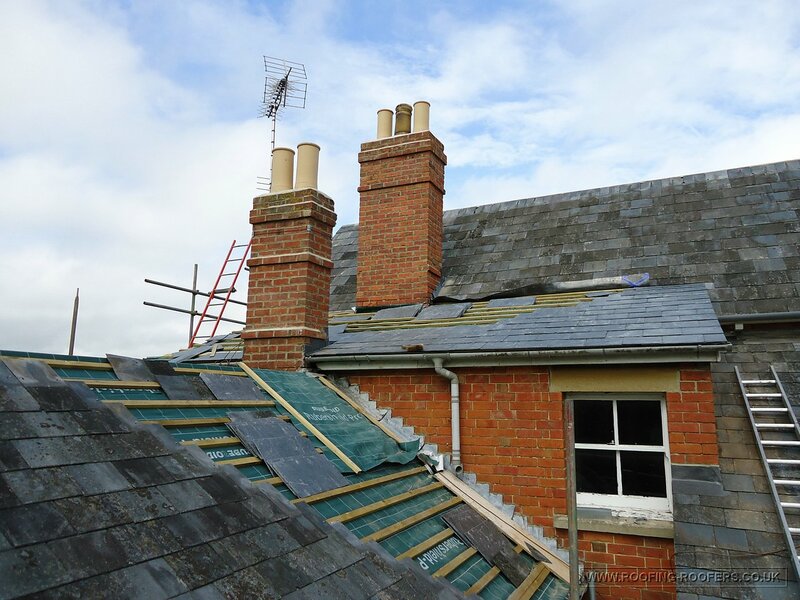 This roof in East Challow Nr Wantage was a complete re-roof with all chimneys re-pointed including new lead work all round. 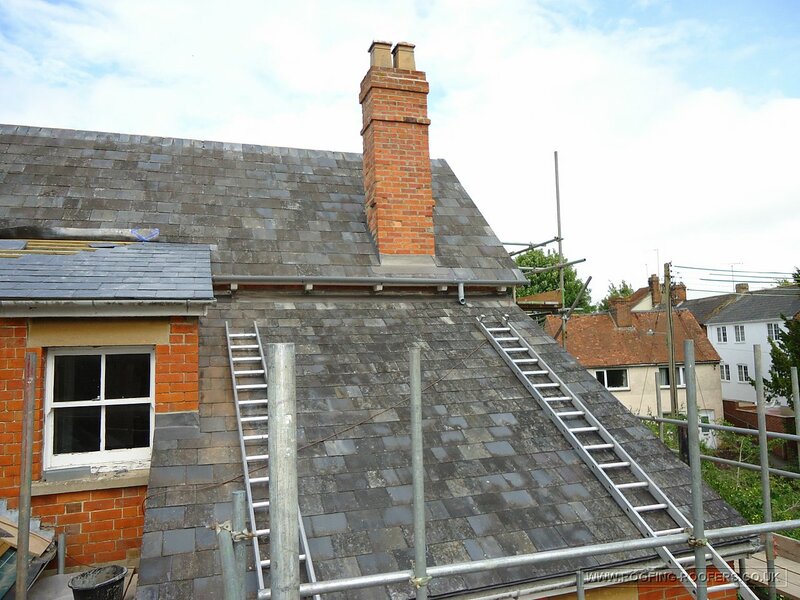 The main roof was original and had never been touched, it had no felt but the slates were in good order considering it was over 100 years old. 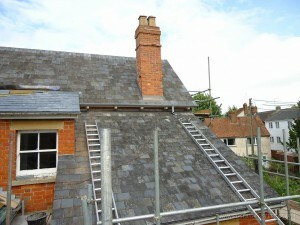 The roof consisted of various levels so it took some careful workings to keep from damaging the elevations already done. New vapour control membrane and treated battens were used and all sound slates fixed back with 30mm copper nails. The original ridges were saved and re-used too. 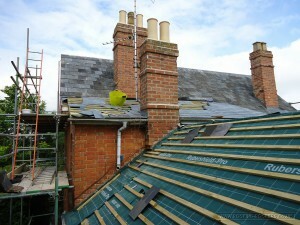 This image shows the slates being put back on. There was very little head lap on the original gauge so I brought this down to the required gauge to prevent water creeping in. This entry was posted in Chimneys, Roof Tiling and Slating and tagged Chimney repairs, natural slate roof by admin. Bookmark the permalink.